After 3 weeks in decontamination, the IASI instrument was activated yesterday and is now in pre-operational mode. 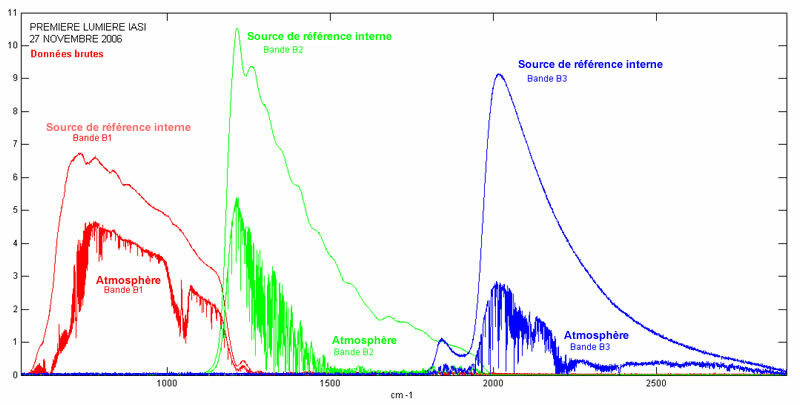 The first image and first atmospheric spectra obtained suggest the instrument is functioning correctly. 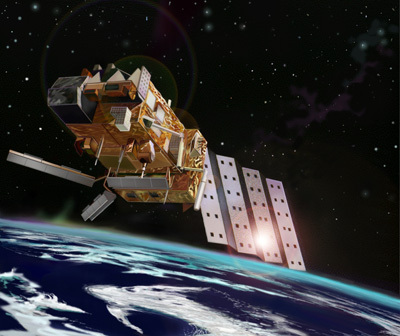 Launched on 19 October on Europe’s MetOp satellite, the IASI spectrometer will observe and measure infrared radiation emitted by Earth. These data will be used to derive temperature and humidity profiles of the lower atmosphere (troposphere and lower stratosphere) with accuracies of 1°C temperature, 10% humidity and 1 km vertical resolution. This degree of precision and resolution has never been achieved before. IASI data will significantly improve weather forecasting at longer ranges while further enhancing the accuracy of short-term forecasts. IASI is also designed for climatology and atmospheric chemistry, and will measure and track ozone and greenhouse gases. The data yielded by the instrument will constitute an unprecedented source of information to help us understand and monitor climate change. After 3 weeks in decontamination and 2 weeks to release its mechanisms and progressively bring the instrument on line, IASI was activated on 27 November from the Svalbard ground station, Norway. Now in pre-operational mode, IASI has successfully delivered its first image, as well as the first data used to derive atmospheric spectra, after ground processing. 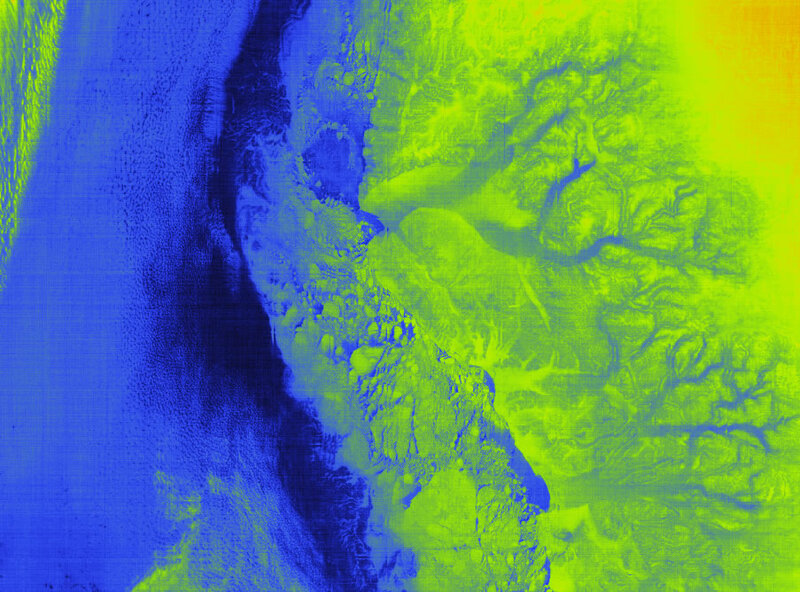 Infrared image of Greenland, showing glaciers and pack ice. In blue: the ocean and part of the glaciers (right). In green: pack ice and landmasses. IASI was developed by CNES in cooperation with Eutmetsat. Alcatel Alenia Space (Cannes, France) is prime contractor for the instrument.